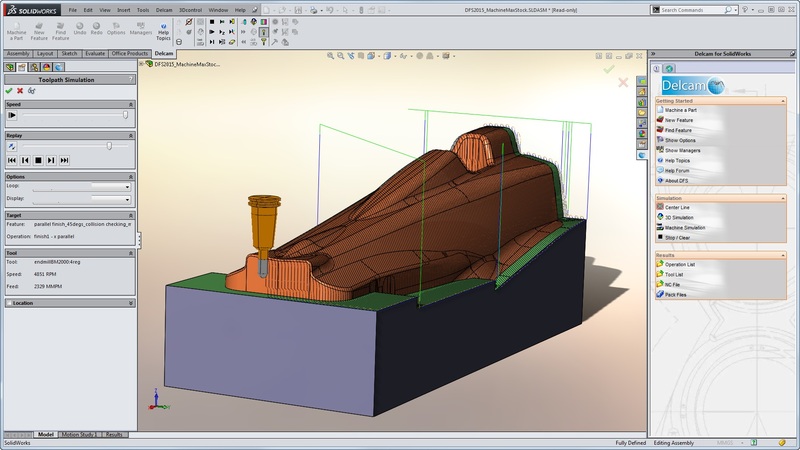 Delcam has released the 2015 version of Delcam for SolidWorks, its integrated CAM system for SolidWorks. This new version includes a range of enhancements in three-axis milling, drilling, turning and wire EDM. Their press release has the details. At the recently held Asian Technical Summit held in Gyeongju in South Korea, I met a few Delcam executives and asked them about the future of Delcam for SolidWorks, now that they were a wholly owned subsidiary of Autodesk. They seemed to suggest that business was going on as usual and hadn’t yet started facing any problems from SolidWorks. At least they were not ready to admit it publicly if there was indeed some trouble brewing. SolidWorks has an open API. This means you don’t need permission from SolidWorks to write an add-in for SolidWorks. Unlike in the case of PTC where you need to license PTC Creo Toolkit, the development libraries that allow you to extend Creo by means of add-ins. So why do software companies join the SolidWorks partner program? Its mainly for API support and to get early visibility of the next version of SolidWorks so that their add-ins are upgraded, tested and ready when the next version of SolidWorks is released. I don’t see Delcam in the list of SolidWorks partners and I don’t expect them to partner with SolidWorks for obvious reasons. So if they could develop Delcam for SolidWorks and manage to take it forward for all this time, I don’t see a problem them continuing to do so after Autodesk has come into the equation.